A while back I wrote a blog post on the Difference between Adobe InDesign and Adobe Illustrator which proved to be very popular in-fact still one of my most visited blogs. 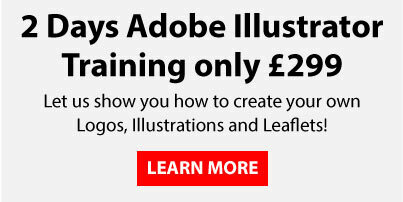 Its a given that any Graphic Design Professional will know exactly when to use the correct software for the job, but for beginners starting out with the Adobe Creative Cloud is not always so clear cut. It is important however to know the difference and use the correct file types whenever possible as they are all completely different tools. After all you wouldn’t use a hammer to change a light bulb would you? When do I use Adobe Photoshop? So this is the one that is most commonly known as Adobe Photoshop is all about images, repairing them, restoring them, cutting them out from backgrounds and generally making people and places look a lot better! 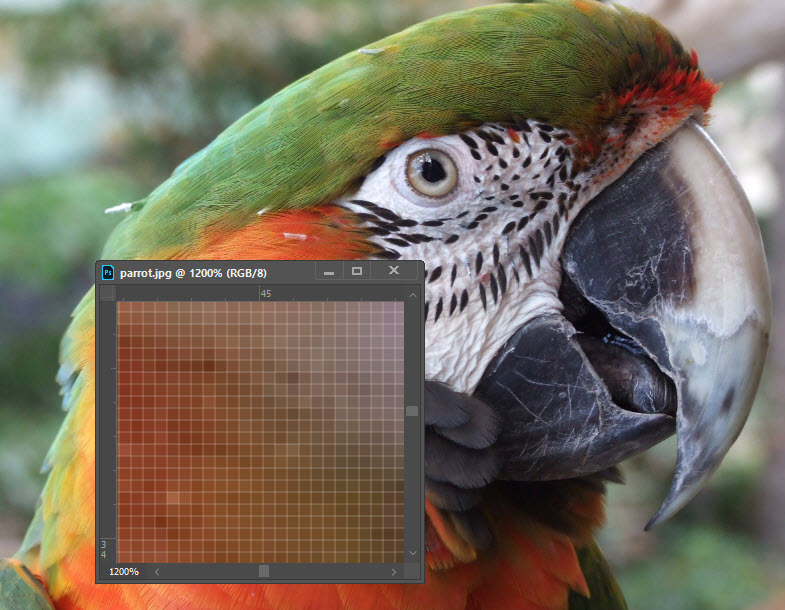 Adobe Photoshop is all about pixels, every image is made up of tiny little pixels if you zoom in on an image you will see these pixels. The density of these pixels dictate the quality of the image. If you are looking at printing an image at high quality you will want around 300 pixels per square inch of the image (ppi). However if you have an image that is 300 ppi and you double the size the ppi of the image reduces to 150 ppi. Ultimately all images are resolution dependant so when you make them bigger the image reduces in quality and when you make them smaller the image increases in quality as the pixels become more dense. Adobe Photoshop can only edit the pixels it cant increase the number of pixels so an image quality is only as good as it was when you took it in to Adobe Photoshop. A word not commonly used for pixel based graphics is Raster graphics. When do I use Adobe Illustrator? This is the one that is less commonly known about, Adobe Illustrator is a Vector based programme, with Vectors there are no pixels involved so everything we create is completely scale-able with no loss of quality. The best way to think of a Vector is that its something created within the software, with photographs we have to bring the photo in to the programme and the only way to do this is by bringing it in as pixels. When we create something within a programme like Adobe Illustrator (a logo or graphic etc) it is just a calculation made on a mathematical grid so when we make it bigger it just recalculates itself with no loss of quality at all. Even if you have never heard of Vectors before you would of used them, all text is Vector even in Microsoft word, you can make it as big as you like without loosing any quality at all. This is why its very important to have a vector version of your logo (not a JPEG!) so you can put it on your letterhead and on the side of a building with no loss of quality at all. Adobe Illustrator is the industry standard in creating vector graphics. When do I use Adobe InDesign? So last but not least we have Adobe InDesign, this is a page layout programme. Adobe InDesign is where we bring all our vectors and our images together with text to create layouts. 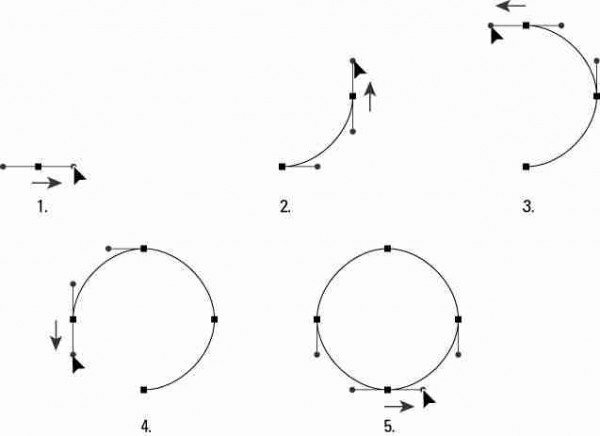 It could be a simple poster right up to a complex multiple page brochure. Adobe InDesign is all about getting your content in the correct place for your layout. 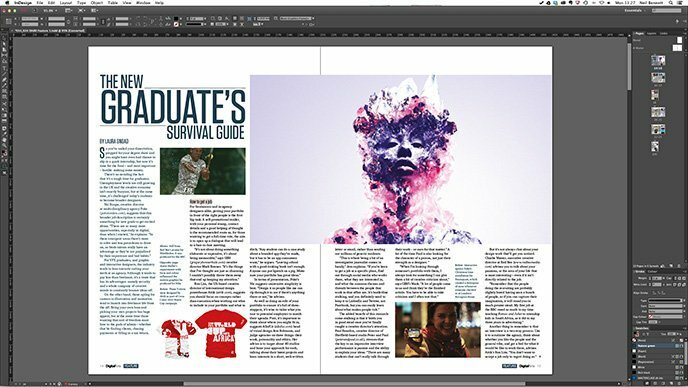 InDesign has the ability to build a document structure with columns and guides quickly and easily so your layouts stay consistent and true to your style. Adobe InDesign has master pages which are essentially templates that keep all your pages consistent and content in the same place on every page if thats what your design requires. The really great thing about Adobe InDesign though is its export options, from a native Adobe InDesign file (.idd) you can export in to any file type under the sun. Yoou can create a lo resolution PDF for a proof or for online use and also create a Hi resolution PDF at maximum quality for clear crisp printing. You may wish to design some web adverts or banners that can also be very easily exported in to .JPEG, .PNG or .GIFF for online use. 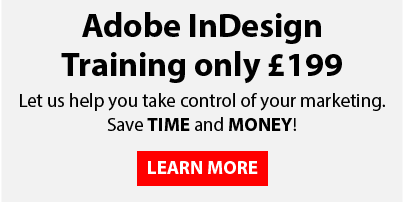 We regularly run Adobe InDesign Training Courses and Adobe Illustrator Training Courses from our state of the art studio in Derby.